ISRO built India's first satellite, Aryabhata, which was launched by the Soviet Union on 19 April 1975. It was named after the mathematician Aryabhata. In 1980, Rohini became the first satellite to be placed in orbit by an Indian-made launch vehicle, SLV-3. ISRO subsequently developed two other rockets: the Polar Satellite Launch Vehicle (PSLV) for launching satellites into polar orbits and the Geosynchronous Satellite Launch Vehicle (GSLV) for placing satellites into geostationary orbits. These rockets have launched numerous communications satellites and earth observation satellites. Satellite navigation systems like GAGAN and IRNSS have been deployed. In January 2014, ISRO used an indigenous cryogenic engine in a GSLV-D5 launch of the GSAT-14. ISRO sent a lunar orbiter, Chandrayaan-1, on 22 October 2008 and a Mars orbiter, Mars Orbiter Mission, on 5 November 2013, which entered Mars orbit on 24 September 2014, making India the first nation to succeed on its first attempt to Mars, and ISRO the fourth space agency in the world as well as the first space agency in Asia to reach Mars orbit. On 18 June 2016, ISRO set a record with a launch of twenty satellites in a single payload, one being a satellite from Google. On 15 February 2017, ISRO launched one hundred and four satellites in a single rocket (PSLV-C37) and created a world record. ISRO launched its heaviest rocket, Geosynchronous Satellite Launch Vehicle-Mark III (GSLV-Mk III), on 5 June 2017 and placed a communications satellite GSAT-19 in orbit. With this launch, ISRO became capable of launching 4-ton heavy satellites into GTO. Modern space research in India is most visibly traced to the 1920s, when the scientist S. K. Mitra conducted a series of experiments leading to the sounding of the ionosphere by application of ground-based radio methods in Calcutta. Later, Indian scientists like C.V. Raman and Meghnad Saha contributed to scientific principles applicable in space sciences. However, it was the period after 1945 that saw important developments being made in coordinated space research in India. 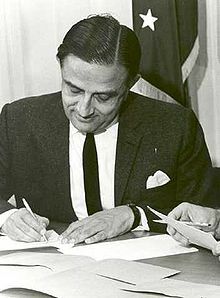 Organised space research in India was spearheaded by two scientists: Vikram Sarabhai—founder of the Physical Research Laboratory at Ahmedabad—and Homi Bhabha, who established the Tata Institute of Fundamental Research in 1945. Initial experiments in space sciences included the study of cosmic radiation, high altitude and airborne testing, deep underground experimentation at the Kolar mines—one of the deepest mining sites in the world—and studies of the upper atmosphere. Studies were carried out at research laboratories, universities, and independent locations. In 1950, the Department of Atomic Energy was founded with Bhabha as its secretary. The department provided funding for space research throughout India. During this time, tests continued on aspects of meteorology and the Earth's magnetic field, a topic that was being studied in India since the establishment of the observatory at Colaba in 1823. In 1954, the Uttar Pradesh state observatory was established at the foothills of the Himalayas. The Rangpur Observatory was set up in 1957 at Osmania University, Hyderabad. Space research was further encouraged by Government of India. In 1957, the Soviet Union launched Sputnik 1 and opened up possibilities for the rest of the world to conduct a space launch. The Indian National Committee for Space Research (INCOSPAR) was set up in 1962 by the efforts of independent India's first Prime Minister Jawaharlal Nehru. Very many individuals with myopic vision questioned the relevance of space activities in a newly independent nation which was finding it difficult to feed its population. But neither Prime Minister Nehru nor Prof. Sarabhai had any ambiguity of purpose. Their vision was very clear: if Indians were to play meaningful role in the community of nations, they must be second to none in the application of advanced technologies to their real-life problems. They had no intention of using it merely as a means of displaying our might. India's economic progress has made its space program more visible and active as the country aims for greater self-reliance in space technology. In 2008, India launched as many as eleven satellites, including nine from other countries and went on to become the first nation to launch ten satellites on one rocket." ISRO has put into operation two major satellite systems: Indian National Satellites (INSAT) for communication services and Indian Remote Sensing (IRS) satellites for management of natural resources. In July 2012, Abdul Kalam said that research was being done by ISRO and DRDO for developing cost reduction technologies for access to space. ISRO Satellite Centre (ISAC), Bengaluru. ISRO Telemetry, Tracking and Command Network (ISTRAC), Bengaluru. Laboratory for Electro-Optics Systems (LEOS), Bengaluru. Antrix Corporation – The marketing arm of ISRO, Bengaluru. Vikram Sarabhai Space Centre Thiruvananthapuram The largest ISRO base is also the main technical centre and the venue of development of the SLV-3, ASLV, and PSLV series. The base supports India's Thumba Equatorial Rocket Launching Station and the Rohini Sounding Rocket programme. This facility is also developing the GSLV series. Liquid Propulsion Systems Centre Thiruvananthapuram and Bengaluru The LPSC handles design, development, testing and implementation of liquid propulsion control packages, liquid stages and liquid engines for launch vehicles and satellites. The testing of these systems is largely conducted at IPRC at Mahendragiri. The LPSC, Bangalore also produces precision transducers. Semi-Conductor Laboratory Chandigarh Research & Development in the field of semiconductor technology, micro-electro mechanical systems and process technologies relating to semiconductor processing. National Atmospheric Research Laboratory Tirupati The NARL carries out fundamental and applied research in Atmospheric and Space Sciences. Space Applications Centre Ahmedabad The SAC deals with the various aspects of practical use of space technology. Among the fields of research at the SAC are geodesy, satellite based telecommunications, surveying, remote sensing, meteorology, environment monitoring etc. The SAC additionally operates the Delhi Earth Station, which is located in Delhi and is used for demonstration of various SATCOM experiments in addition to normal SATCOM operations. North-Eastern Space Applications Centre Shillong Providing developmental support to North East by undertaking specific application projects using remote sensing, GIS, satellite communication and conducting space science research. ISRO Propulsion Complex Mahendragiri Formerly called LPSC-Mahendragiri, was declared a separate centre. It handles testing and assembly of liquid propulsion control packages, liquid engines and stages for launch vehicles and satellites. ISRO Satellite Centre Bengaluru The venue of eight successful spacecraft projects is also one of the main satellite technology bases of ISRO. The facility serves as a venue for implementing indigenous spacecraft in India. The satellites Aaryabhata, Bhaskara, APPLE, and IRS-1A were constructed at this site, and the IRS and INSAT satellite series are presently under development here.This is renamed as U R Rao Satellite Centre. Laboratory for Electro-Optics Systems Bengaluru The Unit of ISRO responsible for the development of altitude sensors for all satellites. The high precision optics for all cameras and payloads in all ISRO satellites including Chandrayaan-1 are developed at this laboratory. Located at Peenya Industrial Estate, Bengaluru. Satish Dhawan Space Centre Sriharikota With multiple sub-sites the Sriharikota island facility acts as a launching site for India's satellites. The Sriharikota facility is also the main launch base for India's sounding rockets. The centre is also home to India's largest Solid Propellant Space Booster Plant (SPROB) and houses the Static Test and Evaluation Complex (STEX). The Second Vehicle Assembly Building (SVAB) at Sriharikota is being realised as an additional integration facility, with suitable interfacing to a second launch pad. Thumba Equatorial Rocket Launching Station Thiruvananthapuram TERLS is used to launch sounding rockets. Indian Deep Space Network (IDSN) Bengaluru This network receives, processes, archives and distributes the spacecraft health data and payload data in real time. It can track and monitor satellites up to very large distances, even beyond the Moon. National Remote Sensing Centre Hyderabad The NRSC applies remote sensing to manage natural resources and study aerial surveying. With centres at Balanagar and Shadnagar it also has training facilities at Dehradun in form of the Indian Institute of Remote Sensing. ISRO Telemetry, Tracking and Command Network Bengaluru (headquarters) and a number of ground stations throughout India and World. Software development, ground operations, Tracking Telemetry and Command (TTC), and support is provided by this institution. ISTRAC has Tracking stations throughout the country and all over the world in Port Louis (Mauritius), Bearslake (Russia), Biak (Indonesia) and Brunei. Master Control Facility Bhopal; Hassan Geostationary satellite orbit raising, payload testing, and in-orbit operations are performed at this facility. The MCF has earth stations and Satellite Control Centre (SCC) for controlling satellites. A second MCF-like facility named 'MCF-B' is being constructed at Bhopal. Indian Institute of Remote Sensing (IIRS) Dehradun Indian Institute of Remote Sensing (IIRS), a unit of the Indian Space Research Organisation (ISRO), Department of Space, Govt. of India is a premier training and educational institute set up for developing trained professionals (P.G and PhD level) in the field of Remote Sensing, Geoinformatics and GPS Technology for Natural Resources, Environmental and Disaster Management. IIRS is also executing many R&D projects on Remote Sensing and GIS for societal applications. IIRS also runs various Outreach programmes (Live & Interactive and e-learning) to build trained skilled human resources in the field of Remote Sensing and Geospatial Technologies. Indian Institute of Space Science and Technology (IIST) Thiruvananthapuram The institute offers undergraduate and graduate courses in Aerospace Engineering, Avionics and Physical Sciences. The students of the first three batches of IIST have been inducted into different ISRO centres as of September 2012. Development and Educational Communication Unit Ahmedabad The centre works for education, research, and training, mainly in conjunction with the INSAT programme. The main activities carried out at DECU include GRAMSAT and EDUSAT projects. The Training and Development Communication Channel (TDCC) also falls under the operational control of the DECU. Sets up as the marketing arm of ISRO, Antrix's job is to promote products, services and technology developed by ISRO. During the 1960s and 1970s, India initiated its own launch vehicle program owing to geopolitical and economic considerations. In the 1960s–1970s, the country developed a sounding rockets programme, and by the 1980s, research had yielded the Satellite Launch Vehicle-3 and the more advanced Augmented Satellite Launch Vehicle (ASLV), complete with operational supporting infrastructure. ISRO further applied its energies to the advancement of launch vehicle technology resulting in the creation of PSLV and GSLV technologies. The Satellite Launch Vehicle, usually known by its abbreviation SLV or SLV-3 was a 4-stage solid-propellant light launcher. It was intended to reach a height of 500 kilometres (310 miles) and carry a payload of 40 kilograms (88 pounds). Its first launch took place in 1979 with two more in each subsequent year, and the final launch in 1983. Only two of its four test flights were successful. The Augmented Satellite Launch Vehicle, usually known by its abbreviation ASLV was a five-stage solid propellant rocket with the capability of placing a 150-kilogram (330-pound) satellite into Low Earth Orbit. This project was started by the ISRO during the early 1980s to develop technologies needed for a payload to be placed into a geostationary orbit. Its design was based on Satellite Launch Vehicle. The first launch test was held in 1987, and after that three others followed in 1988, 1992 and 1994, out of which only two were successful, before it was decommissioned. The Polar Satellite Launch Vehicle, commonly known by its abbreviation PSLV, is an expendable launch system developed by ISRO to allow India to launch its Indian Remote Sensing (IRS) satellites into Sun synchronous orbits. PSLV can also launch small satellites into geostationary transfer orbit (GTO). The reliability and versatility of the PSLV is proven by the fact that it has launched, as of 2014, seventy-one satellites/spacecraft (thirty-one Indian and forty foreign) into a variety of orbits. The maximum number of satellites launched by the PSLV in a single launch is 104, in the PSLV-C37 launch on 15 February 2017. The Geosynchronous Satellite Launch Vehicle, usually known by its abbreviation GSLV, is an expendable launch system developed to enable India to launch its INSAT-type satellites into geostationary orbit and to make India less dependent on foreign rockets. At present, it is ISRO's second-heaviest satellite launch vehicle and is capable of putting a total payload of up to 5 tons to Low Earth Orbit. The vehicle is built by India, originally with a cryogenic engine purchased from Russia, while the ISRO developed its own cryogenic engine. The first version of the GSLV (GSLV Mk.I), using the Russian cryogenic stage, became operational in 2004, after an unsuccessful first launch in 2001 and a second, successful development launch in 2003. The first attempt to launch the GSLV Mk.II with an Indian built cryogenic engine, GSLV-F06 carrying GSAT-5P, failed on 25 December 2010. The initial evaluation implies that loss of control for the strap-on boosters caused the rocket to veer from its intended flight path, forcing a programmed detonation. Sixty-four seconds into the first stage of flight, the rocket began to break up due to the acute angle of attack. The body housing the 3rd stage, the cryogenic stage, incurred structural damage, forcing the range safety team to initiate a programmed detonation of the rocket. On 5 January 2014, GSLV-D5 launched GSAT-14 into intended orbit. This marked first successful flight using indigenous cryogenic engine (CE-7.5), making India the sixth country in the world to have this technology. Again on 27 August 2015, GSLV-D6 launched GSAT-6 into the transfer orbit. ISRO used the indigenously developed Cryogenic Upper Stage (CUS) third time on board in this GSLV flight. On 8 September 2016, GSLV-F05 launched INSAT-3DR, a weather satellite, weighing 2,211 kg (4,874 lb) into a geostationary transfer orbit (GTO). GSLV is designed to inject 2–5 tonnes (2.2–5.5 tons) -class of satellites into GTO. The launch took place from the Second Launch Pad at Satish Dhawan Space Centre SHAR (SDSC SHAR), Sriharikota. The GSLV-F05 flight was the first operational flight of GSLV carrying the Cryogenic Upper Stage (CUS). The indigenously developed CUS was carried on board for the fourth time during a GSLV-F05 flight. GSLV-F05 vehicle is configured with all its three stages including the CUS similar to the ones flown during the previous GSLV-D5 and D6 missions in January 2014 and August 2015. GSLV-Mk III is a launch vehicle. It is capable to launch four tonne satellites into geosynchronous transfer orbit. GSLV-Mk III is a three-stage vehicle with a 110-tonne (120-ton) c-ore liquid propellant stage (L-110) flanked by two 200-tonne (220-ton) solid propellant strap-on booster motors (S-200). The upper stage is cryogenic with a propellant loading of 25 tonne (C-25). The vehicle has a lift-off mass of about 640 tonnes and be 43.43 metres tall. According to ISRO, the payload fairing has a diameter of 5 metres and a payload volume of 100 cubic metres. It will allow India to become less dependent on foreign rockets for heavy lifting. On 18 December 2014, ISRO conducted an experimental test-flight of GSLV MK III carrying a crew module, to be used in future human space missions. This suborbital test flight demonstrated the performance of GSLV Mk III in the atmosphere. GSLV Mk III-D1 carrying communication satellite GSAT-19 lifted off from the second launch pad at Satish Dhawan Space Centre in Sriharikota on 5 June 2017 and placed the communication satellite into the geosynchronous transfer orbit sixteen minutes after takeoff. GSAT-19 satellite with a lift-off mass of 3,136 kg (6,914 lb), is the communication satellite of India, configured around the ISRO's standard I-3K bus. India's first satellite, the Aryabhata, was launched by the Soviet Union on 19 April 1975 from Kapustin Yar using a Cosmos-3M launch vehicle. This was followed by the Rohini series of experimental satellites, which were built and launched indigenously. At present, ISRO operates a large number of earth observation satellites. Indian Remote Sensing satellites (IRS) are a series of earth observation satellites, built, launched and maintained by ISRO. The IRS series provides remote sensing services to the country. The Indian Remote Sensing Satellite system is the largest collection of remote sensing satellites for civilian use in operation today in the world. All the satellites are placed in polar Sun-synchronous orbit and provide data in a variety of spatial, spectral and temporal resolutions to enable several programmes to be undertaken relevant to national development. The initial versions are composed of the 1 (A, B, C, D) nomenclature. The later versions are named based on their area of application including OceanSat, CartoSat, ResourceSat. ISRO currently operates two Radar Imaging Satellites (RISAT). RISAT-1 was launched from Sriharikota Spaceport on 26 April 2012 on board a PSLV. RISAT-1 carries a C band synthetic-aperture radar (SAR) payload, operating in a multi-polarisation and multi-resolution mode and can provide images with coarse, fine and high spatial resolutions. India also operates RISAT-2, which was launched in 2009 and acquired from Israel at a cost $110 million. ISRO has also launched a set of experimental geostationary satellites known as the GSAT series. 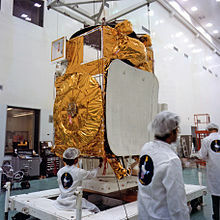 Kalpana-1, ISRO's first dedicated meteorological satellite, was launched by the Polar Satellite Launch Vehicle on 12 September 2002. The satellite was originally known as MetSat-1. In February 2003 it was renamed to Kalpana-1 by the Indian Prime Minister Atal Bihari Vajpayee in memory of Kalpana Chawla – a NASA astronaut of Indian origin who perished in the Space Shuttle Columbia disaster. ISRO has also launched the Indo-French satellite SARAL on 25 February 2013, 12:31 UTC. SARAL (or "Satellite with ARgos and AltiKa") is a cooperative altimetry technology mission. It is being used for monitoring the oceans surface and sea-levels. AltiKa will measure ocean surface topography with an accuracy of 8 mm, against 2.5 cm on average using current-generation altimeters, and with a spatial resolution of 2 km. In June 2014, ISRO launched French Earth Observation Satellite SPOT-7 (mass 714 kg) along with Singapore's first nano satellite VELOX-I, Canada's satellite CAN-X5, Germany's satellite AISAT, via the PSLV-C23 launch vehicle. It was ISRO's 4th commercial launch. The South Asia Satellite (GSAT-9) is a geosynchronous communications satellite by the Indian Space Research Organisation (ISRO) for the South Asian Association for Regional Cooperation (SAARC) region. The satellite was launched on 5 May 2017. During the 18th SAARC summit held in Nepal in 2014, Indian Prime Minister Narendra Modi mooted the idea of a satellite serving the needs of SAARC member nations, part of his Neighbourhood first policy. One month after sworn in as Prime Minister of India, in June 2014 Modi asked ISRO to develop a SAARC satellite, which can be dedicated as a ‘gift’ to the neighbors. It is a satellite for the SAARC region with 12 Ku-band transponders (36 MHz each) and launch using the Indian Geosynchronous Satellite Launch Vehicle GSLV Mk-II. The total cost of launching the satellite is estimated to be about ₹2,350,000,000 (₹235 crore). The cost associated with the launch was met by the Government of India. The satellite enables full range of applications and services in the areas of telecommunication and broadcasting applications viz television (TV), direct-to-home (DTH), very small aperture terminals (VSATs), tele-education, telemedicine and disaster management support. The Ministry of Civil Aviation has decided to implement an indigenous Satellite-Based Regional GPS Augmentation System also known as Space-Based Augmentation System (SBAS) as part of the Satellite-Based Communications, Navigation and Surveillance (CNS)/Air Traffic Management (ATM) plan for civil aviation. The Indian SBAS system has been given an acronym GAGAN – GPS Aided GEO Augmented Navigation. A national plan for satellite navigation including implementation of Technology Demonstration System (TDS) over the Indian air space as a proof of concept has been prepared jointly by Airports Authority of India (AAI) and ISRO. TDS was completed during 2007 by installing eight Indian Reference Stations (INRESs) at eight Indian airports and linked to the Master Control Centre (MCC) located near Bangalore. The first GAGAN navigation payload has been fabricated and it was proposed to be flown on GSAT-4 during Apr 2010. However, GSAT-4 was not placed in orbit as GSLV-D3 could not complete the mission. Two more GAGAN payloads will be subsequently flown, one each on two geostationary satellites, GSAT-8 and GSAT-10. On 12 May 2012, ISRO announced the successful testing of its indigenous cryogenic engine for 200 seconds for its forthcoming GSLV-D5 flight. IRNSS is an independent regional navigation satellite system being developed by India. It is designed to provide accurate position information service to users in India as well as the region extending up to 1500 km from its boundary, which is its primary service area. IRNSS will provide two types of services, namely, Standard Positioning Service (SPS) and Restricted Service (RS) and is expected to provide a position accuracy of better than 20 m in the primary service area. It is an autonomous regional satellite navigation system being developed by Indian Space Research Organisation, which is under total control of Indian government. The requirement of such a navigation system is driven by the fact that access to Global Navigation Satellite Systems like GPS is not guaranteed in hostile situations. ISRO initially planned to launch the constellation of satellites between 2012 and 2014 but the project got delayed by nearly two years. ISRO on 1 July 2013, at 23:41 IST launched from Sriharikota the First Indian Navigation Satellite the IRNSS-1A. The IRNSS-1A was launched aboard PSLV-C22. The constellation would comprise seven satellites of I-1K bus each weighing around 1450 Kilogrammes, with three satellites in the Geostationary Earth Orbit (GEO) and four in Geosynchronous earth orbit(GSO). The constellation would be completed around April 2016. On 4 April 2014, at 17:14 IST ISRO has launched IRNSS-1B from Sriharikota, its second of seven IRNSS series. 19 minutes after launch PSLV-C24 was injected into its orbit.IRNSS-1C was launched on 16 October 2014, and IRNSS-1D on 28 March 2015. As of January 2016, ISRO was in the process of developing 4 back-up satellites to the constellation of existing IRNSS satellites. On 31 August 2017, India's ISRO failed in its attempt to launch its eighth regional navigation satellite (IRNSS-1H) from Sriharikota at 7pm. The satellite got stuck in the fourth stage of the Polar Satellite Launch Vehicle–PSLV-C39. A replacement satellite, IRNSS-1I, was successfully placed into orbit on 12 April 2018. In 2009, the Indian Space Research Organisation proposed a budget of ₹12,400 crore (US$1.7 billion) for its human spaceflight programme. According to the Space Commission, which recommended the budget, an uncrewed flight will be launched after seven years from the final approval and a crewed mission will be launched after 7 years of funding. If realised in the stated time-frame, India will become the fourth nation, after the USSR, USA and China, to successfully carry out crewed missions indigenously. Prime Minister of India, Narendra Modi, announced in his Independence Day address of August 15, 2018 that India will send astronauts into space by 2022 through the Gaganyaan mission. After the announcement, ISRO chairman, Sivan, said ISRO has developed most of the technologies needed such as crew module and crew escape system, and that the project would cost less than Rs. 10,000 crore and would include sending at least 3 Indians to space, 300–400 km above in a spacecraft for at least 7 days using a GSLV Mk-III launch vehicle. The chance of a female being a member of the first crew is "very high"according to the Scientific Secretary to the Indian Chairman, R Umamaheswaran. The Space Capsule Recovery Experiment (SCRE or more commonly SRE or SRE-1) is an experimental Indian spacecraft that was launched on January 10, 2007 using the PSLV C7 rocket, along with three other satellites. It remained in orbit for 12 days before re-entering the Earth's atmosphere and splashing down into the Bay of Bengal. The SRE-1 was designed to demonstrate the capability to recover an orbiting space capsule, and the technology for performing experiments in the microgravity conditions of an orbiting platform. It was also intended to test thermal protection, navigation, guidance, control, deceleration and flotation systems, as well as study hypersonic aerothermodynamics, management of communication blackouts, and recovery operations. A follow-up project named SRE-2 was cancelled mid-way after years of delay. on 18 December 2014, ISRO launched the Crew Module Atmospheric Re-entry Experiment aboard the GSLV Mk3 for a sub-orbital flight. The crew module separated from the rocket at an altitude of 126 km and underwent free fall. The module heat shield experienced temperature in excess of 1600 °C. Parachutes were deployed at an altitude of 15 km to slow down the module which performed a splashdown in the Bay of Bengal. This flight was used to test orbital injection, separation and re-entry procedures and systems of the Crew Capsule. Also tested were the capsule separation, heat shields and aerobraking systems, deployment of parachute, retro-firing, splashdown, flotation systems and procedures to recover the Crew Capsule from the Bay of Bengal. On 5 July 2018, ISRO conducted a pad abort test of their launch abort system (LAS) at Satish Dhawan Space Centre, Sriharikota. This is the first in a series of tests to qualify the critical crew escape system technology for future crewed missions. The LAS is designed to quickly pull out the crew to safety in case of emergency. Newly established Human Space Flight Centre (HSPC) will coordinate the IHSF campagn. ISRO will set up an astronaut training centre in Bengaluru to prepare personnel for flights on board the crewed vehicle. The centre will use simulation facilities to train the selected astronauts in rescue and recovery operations and survival in zero gravity, and will undertake studies of the radiation environment of space. ISRO will build centrifuges to prepare astronauts for the acceleration phase of the mission. Existing launch facilities in Satish Dhawan Space Centre will be upgraded for the Indian Human Spaceflight campaign. ISRO is working towards an orbital crewed spacecraft that can operate for seven days in a low Earth orbit. The spacecraft, called Gaganyaan (गगनयान), will be the basis of the Indian Human Spaceflight Programme. The capsule is being developed to carry up to three people, and a planned upgraded version will be equipped with a rendezvous and docking capability. In its maiden crewed mission, ISRO's largely autonomous 3-ton capsule will orbit the Earth at 400 km in altitude for up to seven days with a two-person crew on board. The crewed vehicle is planned to be launched on ISRO's GSLV Mk III in 2022. India's space era dawned when the first two-stage sounding rocket was launched from Thumba in 1963. There is a national balloon launching facility at Hyderabad jointly supported by TIFR and ISRO. This facility has been extensively used for carrying out research in high energy (i.e., X- and gamma-ray) astronomy, IR astronomy, middle atmospheric trace constituents including CFCs & aerosols, ionization, electric conductivity and electric fields. The flux of secondary particles and X-ray and gamma-rays of atmospheric origin produced by the interaction of the cosmic rays is very low. This low background, in the presence of which one has to detect the feeble signal from cosmic sources is a major advantage in conducting hard X-ray observations from India. The second advantage is that many bright sources like Cyg X-1, Crab Nebula, Scorpius X-1 and Galactic Centre sources are observable from Hyderabad due to their favourable declination. With these considerations, an X-ray astronomy group was formed at TIFR in 1967 and development of an instrument with an orientable X-ray telescope for hard X-ray observations was undertaken. 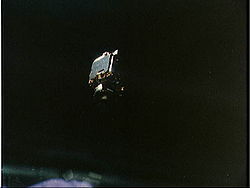 The first balloon flight with the new instrument was made on 28 April 1968 in which observations of Scorpius X-1 were successfully carried out. In a succession of balloon flights made with this instrument between 1968 and 1974 a number of binary X-ray sources including Cyg X-1 and Her X-1, and the diffuse cosmic X-ray background were studied. Many new and astrophysically important results were obtained from these observations. The Astrosat is India's first multi wavelength space observatory and full-fledged astronomy satellite. Its observation study includes active galactic nuclei, hot white dwarfs, pulsations of pulsars, binary star systems, supermassive black holes located at the centre of the galaxies etc. Chandrayaan-1 was India's first mission to the Moon. The unmanned lunar exploration mission included a lunar orbiter and an impactor called the Moon Impact Probe. ISRO launched the spacecraft using a modified version of the PSLV on 22 October 2008 from Satish Dhawan Space Centre, Sriharikota. The vehicle was inserted into lunar orbit on 8 November 2008. It carried high-resolution remote sensing equipment for visible, near infrared, and soft and hard X-ray frequencies. During its 312 days operational period (2 years planned), it surveyed the lunar surface to produce a complete map of its chemical characteristics and 3-dimensional topography. The polar regions were of special interest, as they possibly had ice deposits. The spacecraft carried 11 instruments: 5 Indian and 6 from foreign institutes and space agencies (including NASA, ESA, Bulgarian Academy of Sciences, Brown University and other European and North American institutes/companies), which were carried free of cost. Chandrayaan-1 became the first lunar mission to discover existence of water on the Moon. The Chandrayaan-166 team was awarded the American Institute of Aeronautics and Astronautics SPACE 2009 award, the International Lunar Exploration Working Group's International Co-operation award in 2008, and the National Space Society's 2009 Space Pioneer Award in the science and engineering category. The Mars Orbiter Mission (MOM), informally known as Mangalayaan, was launched into Earth orbit on 5 November 2013 by the Indian Space Research Organisation (ISRO) and has entered Mars orbit on 24 September 2014. India thus became the first country to enter Mars orbit on its first attempt. It was completed at a record low cost of $74 million. MOM was placed into Mars orbit on 24 September 2014 at 8:23 am IST. The spacecraft had a launch mass of 1,337 kg (2,948 lb), with 15 kg (33 lb) of five scientific instruments as payload. The National Space Society awarded the Mars Orbiter Mission team the 2015 Space Pioneer Award in the science and engineering category. ISRO plans to launch a number of Earth observation satellites in the near future. It will also undertake the development of new launch vehicle, crewed spacecraft, and probes to Mars and near-Earth objects. GSAT-20 It is expected to be launched in 2019. IRNSS-1J It is expected to be launched in 2019. GSAT-30 It is expected to be launched from French arianespace in 2019. GISAT 1 Geospatial imagery to facilitate continuous observation of Indian sub-continent, quick monitoring of natural hazards and disaster. NISAR NASA-ISRO Synthetic Aperture Radar (NISAR) is a joint project between NASA and ISRO to co-develop and launch a dual frequency synthetic aperture radar satellite to be used for remote sensing. It is notable for being the first dual band radar imaging satellite. ISRO's missions beyond Earth's orbit include Chandrayaan-1 (to the Moon) and Mars Orbiter Mission (to Mars). ISRO plans to follow up with Chandrayaan-2, Mars Orbiter Mission 2, and is assessing missions to Venus, the Sun, and near-Earth objects such as asteroids and comets. Geosynchronous Satellite Launch Vehicle Mark III is intended as a launch vehicle for crewed missions under the Indian Human Spaceflight Programme announced in Prime Minister Modi's 2018 Independence Day speech. Chandrayaan-2 (Sanskrit: चंद्रयान-२) will be India's second mission to the Moon, which will include an orbiter and lander-rover module. Chandrayaan-2 will be launched on India's Geosynchronous Satellite Launch Vehicle Mark III (GSLV-MkIII) in 2019. The science goals of the mission are to further improve the understanding of the origin and evolution of the Moon. The next Mars mission, Mars Orbiter Mission 2, also called Mangalyaan 2 (Sanskrit: मंगलयान-२), will likely be launched in 2022 or 2023. It will have a less elliptical orbit around Mars and could weigh seven times more than the first mission. This orbiter mission will facilitate scientific community to address the open science problems. The science payload of the proposed satellite is likely to be 100 kg. ISRO plans to carry out a mission to the Sun by the year 2021. The probe is named Aditya-1 (Sanskrit: आदित्य L१) and will have a mass of about 400 kg (880 lb). It is the first Indian space-based solar coronagraph to study the corona in visible and near-IR bands. Launch of the Aditya mission was planned during the heightened solar activity period in 2012, but was postponed to 2019–2020 due to the extensive work involved in the fabrication, and other technical aspects. The main objective of the mission is to study coronal mass ejections (CMEs), their properties (the structure and evolution of their magnetic fields for example), and consequently constrain parameters that affect space weather. ISRO is in the process of conducting conceptual studies to send a spacecraft to Jupiter or Venus. The ideal launch window to send a spacecraft to Jupiter occurs every 33 months. If the mission to Jupiter is launched, a flyby of Venus would be required. ISRO is assessing an orbiter mission to Venus called Shukrayaan-1, that could launch as early as 2023 to study its atmosphere. Some budget has been allocated to perform preliminary studies as part of 2017–18 Indian budget under Space Sciences, and solicitations for potential instruments were requested in 2017 and in 2018. Besides the Chandrayaan-2 lunar mission, ISRO is studying the potential for a joint lunar mission with Japan's Aerospace Exploration Agency (JAXA) to explore the polar regions of the Moon for water, and will be producing a proposal by March 2019. Small Satellite Launch Vehicle or SSLV is in development for commercially launching small satellites with a payload of 500 kg to Low Earth Orbit. SSLV would be four staged vehicle with three solid propellant based stages and a Velocity Trimming Module. The maiden flight is expected mid 2019 from Satish Dhawan Space Centre. As a first step towards realizing a two-stage-to-orbit (TSTO) fully re-usable launch vehicle, a series of technology demonstration missions have been conceived. For this purpose, the winged Reusable Launch Vehicle Technology Demonstrator (RLV-TD) has been configured. The RLV-TD is acting as a flying test bed to evaluate various technologies such as hypersonic flight, autonomous landing, powered cruise flight and hypersonic flight using air-breathing propulsion. First in the series of demonstration trials was the Hypersonic Flight Experiment (HEX). ISRO launched the prototype's test flight from the Sriharikota spaceport in February 2016. The prototype- 'the RLV-TD' weighs around 1.5 tonnes and flew up to a height of 70 km. The test flight, known as HEX, was completed on 23 May 2016. The scaled up version of could serve as fly-back booster stage for winged TSTO concept. The ULV or Unified Launch Vehicle is a launch vehicle in development by the Indian Space Research Organisation (ISRO). The project's core objective is to design a modular architecture that will enable the replacement of the PSLV, GSLV Mk II and GSLV Mk III with a single family of launchers. The SCE-200 engine can even be clustered for heavy launch configuration. The ULV will be able to launch 6000 kg to 10,000 kg of payload into GTO. This will mark the renunciation of the liquid stage with Vikas engine, which uses toxic UDMH and N2O4. "The INSAT-2 satellites also provide telephone links to remote areas; data transmission for organisations such as the National Stock Exchange; mobile satellite service communications for private operators, railways, and road transport; and broadcast satellite services, used by India's state-owned television agency as well as commercial television channels. India's EDUSAT (Educational Satellite), launched aboard the GSLV in 2004, was intended for adult literacy and distance learning applications in rural areas. It augmented and would eventually replace such capabilities already provided by INSAT-3B." The IRS satellites have found applications with the Indian Natural Resource Management program, with Regional Remote Sensing Service Centres in five Indian cities, and with Remote Sensing Application Centres in twenty Indian states that use IRS images for economic development applications. These include environmental monitoring, analysing soil erosion and the impact of soil conservation measures, forestry management, determining land cover for wildlife sanctuaries, delineating groundwater potential zones, flood inundation mapping, drought monitoring, estimating crop acreage and deriving agricultural production estimates, fisheries monitoring, mining and geological applications such as surveying metal and mineral deposits, and urban planning. Integrated Space Cell, under the Integrated Defense Services headquarters of the Indian Ministry of Defense, has been set up to utilize more effectively the country's space-based assets for military purposes and to look into threats to these assets. This command will leverage space technology including satellites. Unlike an aerospace command, where the air force controls most of its activities, the Integrated Space Cell envisages cooperation and coordination between the three services as well as civilian agencies dealing with space. With 14 satellites, including GSAT-7A for the exclusive military use and the rest as dual use satellites, India has the fourth largest number of satellites active in the sky which includes satellites for the exclusive use of Indian Air Force and Indian Navy respectively. GSAT-7A, an advanced military communications satellite exclusively for the Indian Air Force, is similar to Indian navy's GSAT-7, and GSAT-7A will enhance Network-centric warfare capabilities of the Indian Air Force by interlinking different ground radar stations, ground airbase and Airborne early warning and control (AWACS) aircraft such as Beriev A-50 Phalcon and DRDO AEW&CS. GSAT-7A will also be used by Indian Army's Aviation Corps for its helicopters and UAV's operations. In 2013, ISRO had launched GSAT-7 for the exclusive use of the Indian Navy to monitor the Indian Ocean Region (IOR) with the satellite's 2,000 nautical mile ‘footprint’ and real-time input capabilities to Indian warships, submarines and maritime aircraft. To boost its network-centric operations, the IAF is also likely to get another satellite GSAT-7C within a few years. India's satellites and satellite launch vehicles have had military spin-offs. While India's 93–124-mile (150–200-kilometre) range Prithvi missile is not derived from the Indian space programme, the intermediate range Agni missile is drawn from the Indian space programme's SLV-3. In its early years, when headed by Vikram Sarabhai and Satish Dhawan, ISRO opposed military applications for its dual-use projects such as the SLV-3. Eventually, however, the Defence Research and Development Organisation (DRDO) based missile programme borrowed human resources and technology from ISRO. Missile scientist A.P.J. Abdul Kalam (elected president of India in 2002), who had headed the SLV-3 project at ISRO, moved to DRDO to direct India's missile programme. About a dozen scientists accompanied Kalam from ISRO to DRDO, where he designed the Agni missile using the SLV-3's solid fuel first stage and a liquid-fuel (Prithvi-missile-derived) second stage. The IRS and INSAT satellites were primarily intended and used for civilian-economic applications, but they also offered military spin-offs. In 1996 New Delhi's Ministry of Defence temporarily blocked the use of IRS-1C by India's environmental and agricultural ministries to monitor ballistic missiles near India's borders. In 1997 the Indian Air Force's "Airpower Doctrine" aspired to use space assets for surveillance and battle management. Institutions like the Indira Gandhi National Open University and the Indian Institutes of Technology use satellites for scholarly applications. Between 1975 and 1976, India conducted its largest sociological programme using space technology, reaching 2400 villages through video programming in local languages aimed at educational development via ATS-6 technology developed by NASA. This experiment—named Satellite Instructional Television Experiment (SITE)—conducted large scale video broadcasts resulting in significant improvement in rural education. Education could reach far remote rural places with the help of above programs. ISRO has applied its technology for telemedicine, directly connecting patients in rural areas to medical professionals in urban locations via satellites. Since high-quality healthcare is not universally available in some of the remote areas of India, the patients in remote areas are diagnosed and analysed by doctors in urban centers in real time via video conferencing. The patient is then advised medicine and treatment. The patient is then treated by the staff at one of the 'super-specialty hospitals' under instructions from the doctor. Mobile telemedicine vans are also deployed to visit locations in far-flung areas and provide diagnosis and support to patients. ISRO has also helped implement India's Biodiversity Information System, completed in October 2002. Nirupa Sen details the program: "Based on intensive field sampling and mapping using satellite remote sensing and geospatial modeling tools, maps have been made of vegetation cover on a 1: 250,000 scale. This has been put together in a web-enabled database that links gene-level information of plant species with spatial information in a BIOSPEC database of the ecological hot spot regions, namely northeastern India, Western Ghats, Western Himalayas and Andaman and Nicobar Islands. This has been made possible with collaboration between the Department of Biotechnology and ISRO." The Indian IRS-P5 (CARTOSAT-1) was equipped with high-resolution panchromatic equipment to enable it for cartographic purposes. IRS-P5 (CARTOSAT-1) was followed by a more advanced model named IRS-P6 developed also for agricultural applications. The CARTOSAT-2 project, equipped with single panchromatic camera that supported scene-specific on-spot images, succeeded the CARTOSAT-1 project. Establishment of TERLS, conduct of SITE & STEP, launches of Aryabhata, Bhaskara, APPLE, IRS-IA and IRS-IB/ satellites, manned space mission, etc. involved international co-operation. India has established a Centre for Space Science and Technology Education in Asia and the Pacific (CSSTE-AP) that is sponsored by the United Nations. India is a member of the United Nations Committee on the Peaceful Uses of Outer Space, Cospas-Sarsat, International Astronautical Federation, Committee on Space Research (COSPAR), Inter-Agency Space Debris Coordination Committee (IADC), International Space University, and the Committee on Earth Observation Satellite (CEOS). Chandrayaan-1 carried scientific payloads from NASA, ESA, Bulgarian Space Agency, and other institutions/companies in North America and Europe. The United States government on 24 January 2011, removed several Indian government agencies, including ISRO, from the so-called Entity List, in an effort to drive hi-tech trade and forge closer strategic ties with India. ISRO carries out joint operations with foreign space agencies, such as the Indo-French Megha-Tropiques Mission. At the International Astronautical Congress 2014 at Toronto, ISRO chairman K. Radhakrishnan and NASA administrator Charles Bolden signed two documents. One was regarding the 2020 launch of a NASA-ISRO Synthetic Aperture Radar (NISAR) satellite mission to make global measurements of the causes and consequences of land surface changes. The other was to establish a pathway for future joint missions to explore Mars. Antrix Corporation, the commercial and marketing arm of ISRO, handles both domestic and foreign deals. In the 39th Scientific Assembly of Committee on Space Research held in Mysore, the ISRO chairman K. Radhakrishnan called upon international synergy in space missions in view of their prohibitive cost. He also mentioned that ISRO is gearing up to meet the growing demand of service providers and security agencies in a cost effective manner. Several ISRO satellites have been launched by foreign space agencies (of Europe, USSR / Russia, and United States). The details (as of December 2016) are given in the tables below. Those ISRO satellites that had a launch mass of 3000 kg or more, and were launched by foreign agencies, are listed in the table below. ^ "ISRO gets new identity". Indian Space Research Organisation. Retrieved 19 August 2018. ^ "A 'vibrant' new logo for ISRO". Times of India. 19 August 2002. Retrieved 19 August 2018. ^ "Chairman ISRO, Secretary DOS". Department of Space, Government of India. Retrieved January 23, 2018. ^ "Annual Report 2017-18". ISRO.gov.in. Retrieved 23 February 2019. ^ "Vision and Mission Statements". www.isro.gov.in. Retrieved 28 March 2019. ^ "Overview". From Fishing Hamlet To Red Planet. Harper Collins. 2015. p. 13. ISBN 978-9351776895. The three men responsible for launching our country’s space programme were: Dr Homi Bhabha, the architect of India’s nuclear project, Dr Vikram Sarabhai, now universally acknowledged as the father of the Indian space programme and Pandit Jawaharlal Nehru, the first Prime Minister of independent India. All three came from rich and cultured families; each of them was determined to do his bit for the newly emerging India. ^ Eligar Sadeh (11 February 2013). Space Strategy in the 21st Century: Theory and Policy. Routledge. pp. 303–. ISBN 978-1-136-22623-6. ^ "Aryabhata - ISRO". www.isro.gov.in. Retrieved 15 August 2018. ^ a b "GSLV-D5 – Indian cryogenic engine and stage" (PDF). Official ISRO website. Indian Space Research Organisation. Archived from the original (PDF) on 2 September 2013. Retrieved 29 September 2014. ^ a b "GSLV soars to space with Indian cryogenic engine". Spaceflight Now. 5 January 2014. Retrieved 29 September 2014. ^ Thomas, Arun. "Mangalyan". CNN. ^ Pallav Bagla (22 June 2016). "India Launches Record 20 Satellites in 26 Minutes, Google Is A Customer". ^ "ISRO sends record 104 satellites in one go, becomes the first to do so". The Economic Times. Retrieved 15 February 2017. ^ Barry, Ellen (15 February 2017). "India Launches 104 Satellites From a Single Rocket, Ramping Up a Space Race". The New York Times. ISSN 0362-4331. Retrieved 15 February 2017. ^ "About ISRO – Future Programme". Indian Space Research Organisation. Retrieved 29 September 2014. ^ a b c d Daniel, 486. ^ a b "ISRO – Vision and Mission Statements". ISRO. ^ Kalam, Avul Pakir Jainulabdeen Abdul; Tiwari, Arun (1999). Wings of Fire: An Autobiography. Universities Press. ISBN 9788173711466. ^ a b Hennock etc. (2008), "The Real Space Race Is In Asia", Newsweek. ^ "ISRO, DRDO pursuing research to lessen cost of access to space". 10 July 2012. ^ "DoS structure". Department of Space, Government of India. Archived from the original on 27 September 2014. Retrieved 22 September 2014. ^ "NEC – North Eastern Council". Necouncil.nic.in. Archived from the original on 25 February 2012. Retrieved 8 February 2013. ^ a b c d e f g h i j k l m n o p India in Space", Science & Technology edited by N.N. Ojha, 142. ^ a b c d e "Space Research", Science and Technology in India edited by R.K. Suri and Kalapana Rajaram, 414. ^ a b c "Space Research", Science and Technology in India edited by R.K. Suri and Kalapana Rajaram, 415. ^ "Second Vehicle Assembly Building being realised at ISRO". The Economic Times. 11 January 2016. Retrieved 20 January 2016n. ^ Madumathi, D.S. (6 January 2016). "Sriharikota space port scores 50". The Hindu. Retrieved 20 January 2016. ^ a b c "Space Research", Science and Technology in India edited by R.K. Suri and Kalapana Rajaram, 416. ^ "Antrix responsible for marketing ISRO tech". The Times of India. Retrieved 24 February 2013. ^ "ISRO's commercial arm Antrix gets new chief". The Hindu. 9 June 2011. Retrieved 24 February 2013. ^ "ISRO vehicles". Jean-Jacques Serra for TBS Satellite. Retrieved 27 January 2009. ^ a b "ISRO milestones". ISRO. Archived from the original on 14 October 2007. Retrieved 27 January 2009. ^ "ASLV". ISRO. Archived from the original on 17 October 2007. Retrieved 27 January 2009. ^ "ISRO's Website: ISRO's Launch Vehicle". ^ "PSLV-C11 Successfully Launches Chandrayaan-1". Archived from the original on 25 October 2008. ^ "PSLV-C9". Indian Space Research Organisation. Archived from the original on 2 November 2014. Retrieved 2 November 2014. ^ Bagla, Pallava (April 30, 2008). "India's growing strides in space". BBC News. Retrieved January 23, 2018. ^ Atkinson, Nancy (28 April 2008). "10 Satellites Launched in Record Setting Mission for India (Video)". Universe Today. Retrieved 2 November 2014. ^ "Indian space programme hit by another launch mishap". SpaceFlightNow. 25 December 2010. ^ "GSLV-D6 – ISRO". Retrieved 24 May 2016. ^ "GSLV-F05 launches INSAT-3DR". ISRO. 8 September 2016. ^ "Isro postpones GSLV-MKIII flight scheduled in August". The Times of India. 20 August 2014. ^ "Welcome To ISRO :: Launch Vehicles :: GSLV Mark III". ISRO. Archived from the original on 15 August 2009. Retrieved 12 August 2010. ^ "Isro successfully test-fires GSLV Mark III carrying unmanned crew module". Time of India. Retrieved 17 December 2014. ^ "Spaceflightnow list of upcoming launches". spaceflightnow.com. Archived from the original on 4 June 2010. Retrieved 13 August 2014. ^ "GSAT-19 - ISRO". isro.gov.in. Retrieved 15 August 2018. ^ "GSLV MkIII-D2 successfully launches GSAT-29". ISRO. Retrieved 14 November 2018. ^ a b "'ISRO successfully launches 'spy satellite' RISAT-1'". ndtv. 26 April 2012. ^ "eoPortal directory: Kalpana-1/MetSat-1 (Meteorological Satellite-1)". Eoportal.org. Archived from the original on 8 September 2012. Retrieved 11 March 2011. ^ "Space Technology in India | Indian Space Research Organisation (ISRO)". Indiaonline.in. Archived from the original on 21 July 2011. Retrieved 11 March 2011. ^ "The Hindu Business Line : ISRO left poorer by transponder crunch, foreign leases". Business Line. 8 January 2011. Retrieved 11 March 2011. ^ "India successfully launches Indo-French, 6 foreign satellites". The Indian Express. 25 February 2013. Retrieved 25 February 2013. ^ "Satellite SARAL". Ilrs.gsfc.nasa.gov. Archived from the original on 5 July 2012. Retrieved 24 July 2012. ^ "PSLV-C23 successfully launched; PM Narendra Modi calls for developing a SAARC satellite". Zee News. Retrieved 12 June 2015. ^ "Isro successfully tests indigenous cryogenic engine". Hindustan Times. 12 May 2012. Archived from the original on 13 May 2012. Retrieved 12 May 2012. ^ "Navigation Satellite". ISRO. Archived from the original on 23 October 2013. Retrieved 26 January 2014. ^ "ISRO PSLV C22 STATUS". Archived from the original on 29 June 2013. Retrieved 1 July 2013. ^ "Isro successfully launches navigation satellite IRNSS-1B". ^ Avinash Nair (8 January 2016). "ISRO works on 4 back-up satellites for IRNSS". The Indian Express. ^ "India completes NavIC constellation with 7th satellite - Times of India ►". The Times of India. Retrieved 2019-02-01. ^ "Plan panel okays ISRO manned space flight". The Indian Express. 23 February 2009. Retrieved 11 March 2011. ^ "India announces first manned space mission". Retrieved 12 June 2015. ^ Dinshaw Mistry; The Diplomat. "Where China Leads, India Follows?". The Diplomat. Retrieved 12 June 2015. ^ "Gaganyaan mission to take Indian astronaut to space by 2022: PM Modi". 15 August 2018. Retrieved 15 August 2018 – via www.thehindu.com. ^ "Indian Astronaut Will Be In Space For 7 Days, Confirms ISRO Chairman". Retrieved 15 August 2018. ^ "JFK in 1961, Modi in 2018: PM announces 'Indian in space by 2022,' but is ISRO ready?". 15 August 2018. Retrieved 15 August 2018. ^ "Episode 83 - India's Human Spaceflight Programme with R Umamaheswaran". AstrotalkUK. 2019-01-18. Retrieved 2019-01-18. ^ Express News Service (16 April 2009). "UoP part of ISRO's bio experiment in space". Express India. Archived from the original on 12 October 2012. Retrieved 11 March 2011. ^ "The Hindu : Opinion / Letters to the Editor : Well done ISRO". Hinduonnet.com. 24 January 2007. Retrieved 11 March 2011. ^ "UoP part of ISRO's bio experiment in space". The Indian Express. 16 April 2009. Retrieved 11 March 2011. ^ "India to launch unmanned crew module in December". The Economic Times. 30 October 2014. Retrieved 30 October 2014. ^ "ISRO's first 'pad abort' test, critical for future human space mission, successful". 5 July 2018. Retrieved 15 August 2018 – via www.thehindu.com. ^ Ds, Madhumathi (2019-01-11). "ISRO starts Human Space Flight centre". The Hindu. ISSN 0971-751X. Retrieved 2019-01-11. ^ "Inauguration of Human Space Flight Centre (HSFC) - ISRO". www.isro.gov.in. Retrieved 2019-03-08. ^ "India's human space programme gets a fillip". The New Indian Express. Retrieved 2019-01-11. Initially, the plan was the construct a new launch pad for the human space flight, but Sivan told the Express that due to paucity of time one of the two existing launch pads is being modified to meet the requirement. ^ "Stratospheric balloon launch bases and sites". StratoCat. ^ "Page Not Found". Retrieved 24 May 2016. ^ "Mission definitely over". The Hindu. Chennai, India. 30 August 2009. Retrieved 29 August 2009. ^ "domain-b.com : American astronautics society award for Chandrayaan-1 team". Retrieved 12 June 2015. ^ Hoover, Rachel (17 June 2010). "NASA's Lunar Impact Mission Honored by National Space Society". National Aeronautics and Space Administration. Retrieved 2 February 2013. ^ "India becomes first country to enter Mars' orbit on their first attempt". Herald Sun. 24 September 2014. Retrieved 24 September 2014. ^ "India's Maiden Mars Mission Makes History". Bloomberg TV India. Retrieved 24 September 2014. ^ Brandt-Erichsen, David (12 January 2015). "Indian Space Research Organisation Mars Orbiter Programme Team Wins National Space Society's Space Pioneer Award for Science and Engineering". National Space Society. Retrieved 2 February 2015. ^ "ISRO Mars Orbiter Mission team Wins Space Pioneer Award". Washington, United States: NDTV. 14 January 2015. Retrieved 2 February 2015. ^ Singh, Surendra (5 August 2018). "Chandrayaan-2 launch put off: India, Israel in lunar race for 4th position". The Times of India. Times News Network. Retrieved 15 August 2018. ^ Haider, Syed A.; et al. (2018). "Indian Mars and Venus Missions: Science and Exploration" (PDF). Scientific Assembly Abstracts. 42rd Committee on Space Research Scientific Assembly. 14–22 July 2018. Pasadena, California. p. 432. B4.1-0010-18. ^ Mukunth, Vasudevan. "ISRO Plans Return to Mars with Mangalyaan 2.0". The Wire. ^ "After Mars, India aims for Sun now". Mail Today. Mail Today. Mail Today. 13 February 2018. p. 12. ^ "After the Moon, ISRO eyes the sun". 9 June 2011. Retrieved 12 June 2015. ^ "After Mars, ISRO looks to conquer Venus & Jupiter". Bangalore Mirror. ^ "ISRO gears up for Venus mission, invites proposals from scientists". The Indian Express. New Delhi. April 25, 2017. Retrieved January 23, 2018. ^ "After Mars, Isro aims for Venus probe in 2–3 years". The Asian Age. Archived from the original on 30 May 2015. Retrieved 12 June 2015. ^ "Department of Space" (PDF). Ministry of Finance, Government of India. Retrieved January 18, 2018. ^ "Announcement of Opportunity (AO) for Space Based Experiments to Study Venus". ISRO.gov.in. 19 April 2017. Retrieved 13 September 2017. ^ Harding, Robin; Kazmin, Amy (4 January 2018). "India and Japan prepare joint mission to the moon". Financial Times. ^ Rajwi, Tiki (20 May 2015). "Futuristic Unmanned Space Shuttle Getting Final Touches". The New Indian Express. ^ "'Design process has been validated'". Retrieved 7 September 2018. ^ a b "India goes to war in space". 18 June 2008. Retrieved 2 July 2010. ^ "India in aerospace defence plan". BBC. 28 January 2007. Retrieved 24 Apr 2009. ^ "India Begins Work On Space Weapons Command". SpaceDaily. 12 April 2006. Archived from the original on 9 July 2007. Retrieved 24 Apr 2009. ^ a b c Why Isro's Gsat-7A launch is important for the Indian Air Force, Times of India, 19 Dec 2018. ^ a b c "India's Tech Roadmap Points to Small Sats, Space Weapons". ^ a b "IAF to induct 214 fifth generation fighter jets". ^ a b "Space Research", Science and Technology in India edited by R.K. Suri and Kalapana Rajaram, 447. ^ "US removes ISRO, DRDO from export control list". The Times of India. 25 January 2011. Retrieved 24 February 2011. ^ "U.S., India to Collaborate on Mars Exploration, Earth-Observing Mission". NASA official website. National Aeronautics and Space Administration. 30 September 2014. Retrieved 1 October 2014. ^ "Antrix Corporation Limited". Indian Space Research organisation. Archived from the original on 26 September 2014. Retrieved 1 October 2014. ^ "ISRO – International co-operation". Indian Space Research Organisation. Retrieved 27 February 2015. ^ "INSAT-4A". Indian Space Research Organisation. Retrieved 2 February 2015. ^ "INSAT-4B". Indian Space Research Organisation. Retrieved 2 February 2015. ^ "GSAT-8". Indian Space Research Organisation. Retrieved 2 February 2015. ^ "GSAT-10". Indian Space Research Organisation. Retrieved 2 February 2015. ^ "GSAT-16". Indian Space Research Organisation. Retrieved 2 February 2015. ^ "GSAT-15". Indian Space Research Organisation. Retrieved 12 November 2015. ^ "India's GSAT-18 Communication Satellite Launched Successfully". spacesciencefacts.com. 6 October 2016. Retrieved 4 April 2019. ^ "GSAT-17 brochure" (PDF). Indian Space Research Organisation. Retrieved 12 August 2017. ^ "GSAT-31 brochure". Indian Space Research Organisation. Retrieved 23 February 2019. ^ "All Missions - ISRO". www.isro.gov.in. Retrieved 2019-04-02. Bhaskaranarayana etc. (2007), "Applications of space communication", Current Science, 93 (12): 1737–1746, Bengaluru: Indian Academy of Sciences. Gupta, S.C. etc. (2007), "Evolution of Indian launch vehicle technologies", Current Science, 93 (12): 1697–1714, Bengaluru: Indian Academy of Sciences. Narasimha, R. (2002), "Satish Dhawan", Current Science, 82 (2): 222–225, Bengaluru: Indian Academy of Sciences. Sen, Nirupa (2003), "Indian success stories in use of Space tools for social development", Current Science, 84 (4): 489–490, Bengaluru: Indian Academy of Sciences. Wikimedia Commons has media related to Indian Space Research Organisation.